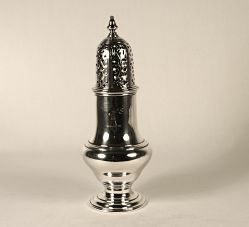 of plain baluster form, encircled by a stepped band on a spreading pedestal stepped foot, with a removable pierced lid and a plain fixed finial. 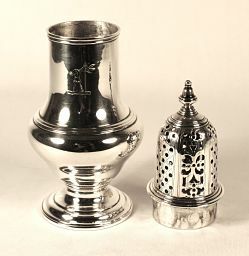 The cartouche displays a small fist crest. 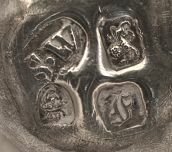 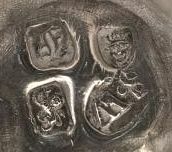 A full set of hallmarks are shown under the base and the maker's mark, with lion passant, are also inscribed on the rim of the lid.